If you are invited by your friend who is about to get married to be her Bridesmaid, you must help her with whatever she needs for her big day. 1.If your bride asks you to help her with ideas where to be the wedding, explore different places. It is a good idea that you drive so she can look at every place. 2. You can help when choosing the invitations. 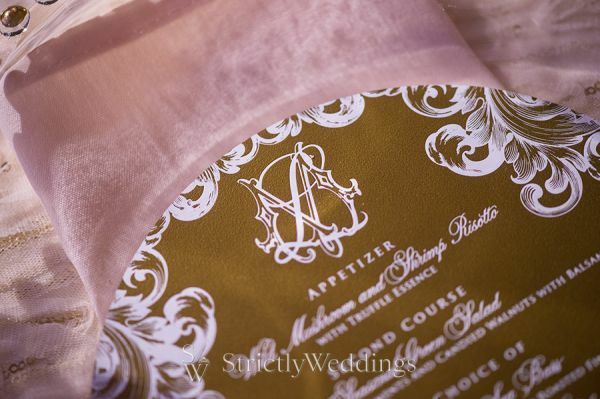 If your handwriting is beautiful you can help addressing the invitations if the bride agrees. 3. Your girlfriend may need help when ordering and choosing the decoration, your opinion may be useful when taking decisions and doing the different tasks. 4. 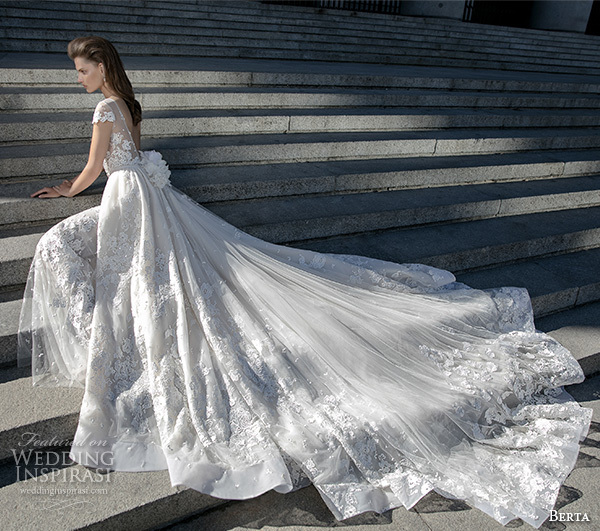 The biggest pleasure is to go with the bride when choosing the Wedding Dress. 5. Buy the dress soon enough before the wedding so you can fix it if necessary. 6. 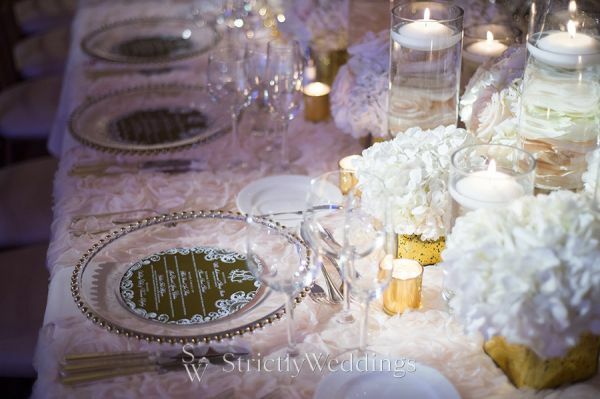 Help the bride for the idea for setting the guests around the tables. It could be easier especially when there are many people, if you make the sketch of the location and carry it in the day of the wedding. 7. Help when planning, organizing and conducting the bridal shower. 8. Try to inform everyone when is the exact date of the event of the parties before that. 9. Help and be present at the rehearsal. Very often the grooms and their families are very busy and forget about some important things of the organization. * Help the bride to get dressed and to put on her make-up. * Always be in line with everything so you can cooperate when necessary executing the link between the bride and the groom. * Visit the restaurant so you know that everything is OK.
* Help the other Bridesmaids by giving them directions for the time and place. * If the bride wants to be left alone for some time, give her that time. * Help the bride with her veil and trail if such on the way to the ritual hall. 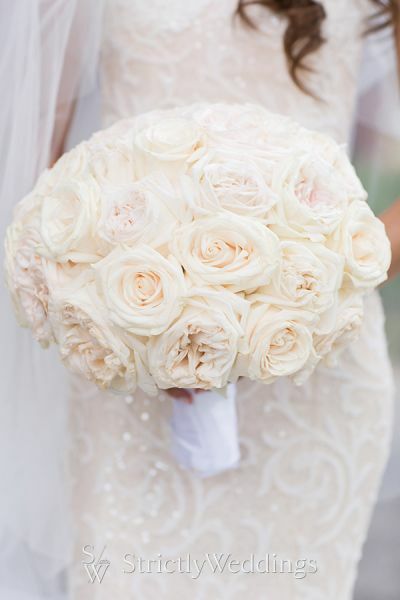 * Help the bride with the bouquet during the ceremony. Always have a spare hand. * Help the guests take their seats. They love to see Bridesmaids around them. * Prepare a speech for the celebration. People love funny sayings. * Help the newlyweds when collecting the presents. * And finally but not lastly, ensure the necessary moral support for the bride. It’s not a secret that even the smallest accessory could make you look amazing, but only if it’s appropriately combined with your clothing. Very fashionable are the flowers in the hair which give tenderness and grace to your appearance. The single colored or multiple colored headbands decorated with crystals and flowers could make you look perfect. These accessories could be also worn after the wedding day. 1. The color of the veil should go well with the dress. Do not choose an ivory veil if your dress is white. Even if the color difference seems minimal to you, it will not look well. The white color depends on the material which is used, that’s why you should be careful even if you are going to get a white veil for a white dress. 2. The decoration on the veil should also go well with the decoration on the dress. For example, if the dress is decorated with pearls, the veil should be decorated with pearls too. 3. Conform the veil’s length to your personal figure. 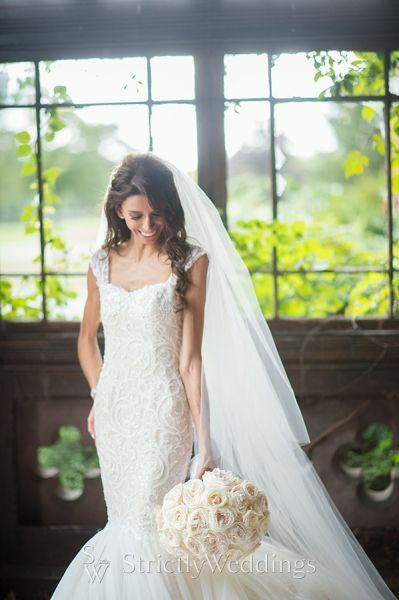 The tall ladies could wear any lengths, but it’s important for the shorter ones to choose a shorter veil. A two layer veil and a lifted hair are appropriate for the shorter brides. This way they could look optically taller. In case you are taller than the groom, you should avoid elongated hairstyles and long veils. 4. When you choose a veil and a tiara, make sure that you could handle their weight. Be aware of the fact that you are going to wear them for a long time. These accessories are being attached to the head with combs. If they are too heavy, they could ruin your hairstyle, which could lead to ruining your mood too. 5. If you are going to wear a luscious veil, but you think that you wouldn’t handle it through the whole wedding, you should get one that could be taken off any time you want. This way, you could leave only your tiara on your head and feel more comfortable while you dance for example. 6. 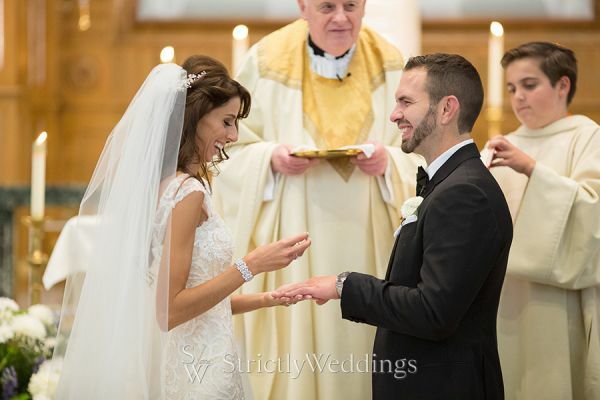 Another thing that should be taken into consideration while choosing a veil is the tiara. It should go well with the dress too. If the wedding is more official, the tiara should be more spectacular. If the ceremony is more informal and simple, the tiara should be more simple and elegant too. 7. You should also decide where exactly to place the veil. If it’s going to be attached to the back of your head, it should look simpler and weigh less. A tiara that is going to stay on top of your head could be more decorated and weigh more. Do not forget that all these accessories are being attached with combs and hairpins. Just because you’re lazy doesn’t mean you want to look like you DGAF. Here are surprisingly simple yet super-chic hairstyles for the girl who just can’t be bothered. Gather a section of hair from both sides of your head in line with your temples, and put the sections into a small pony in the back. Then, braid the pony down to the ends. Tug at sections of the braid to loosen it to make it look more voluminous. The exaggerated edges also help create that flower-petal finish. 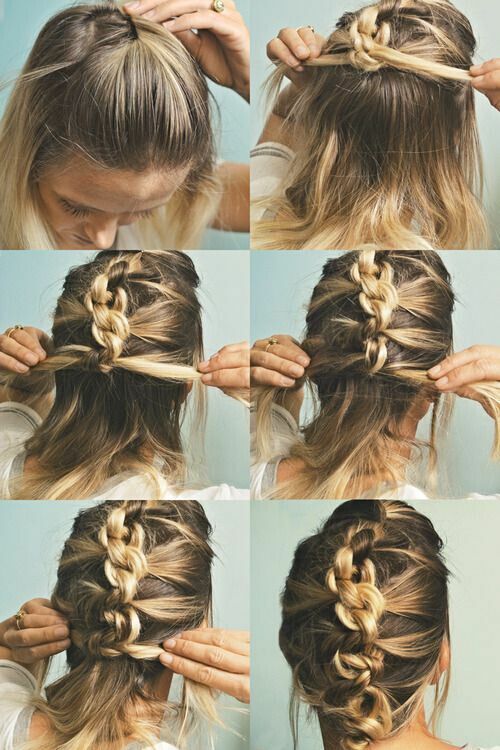 Spin the braid around into a bun, and pin it securely against your head. Separate your hair into two even sections, one in the front and one in the back, and secure the back half into a ponytail. Pull the right half of the front section across the back of your head over your hair tie, and pin it on top of the ponytail to cover the elastic. Pull the front left section across the back of your head, draping it over the ponytail, and pin it securely to your head. Done! Secure your hair in a high pony and split the tail in half. Wrap the first half over and around a 1-inch curling wand for 10 seconds or less, depending on how easily your hair curls. Repeat with the second half. Twist back a small section of hair from one side of your head, and secure it with a pin in the middle of your head. Twist back a small section of hair from the other side of your head, tuck it behind the first twisted section, and pin it in the middle of your head. Separate your hair into two sections, and tie them together in a low knot. Tie the two sections in a knot again, and secure the pony with a hair tie under the second knot. Wrap a piece of hair around the hair tie to conceal it. Insert a gold pin through the right side of the bun with the open ends toward the left side of the bun. Used here was the YS Park Gold 4-inch Pin. Twist sections of damp hair (make the sections large or small if you want looser or tighter waves, respectively) and blast with a blow-dryer, concentrating the heat downward so you don’t ruffle the cuticle and cause frizz. After your whole head is in dried twists, separate the tendrils with your fingers for messy, beachy waves. French braid a section of hair on one side of your head from the hairline all the way down to the ends, and secure it with a small hair tie. 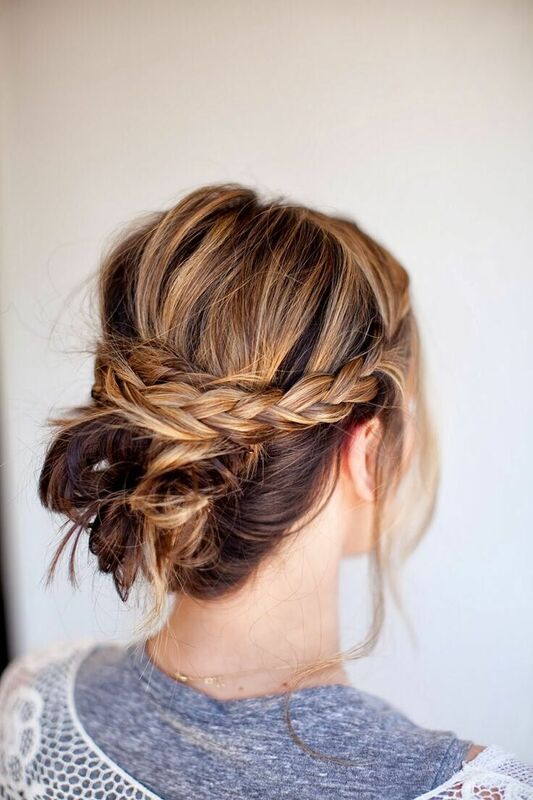 Gather all your hair, including the braid, into a ponytail, secure it with a hair tie, and wrap a sliver of hair around the elastic to conceal it. Pin the hair in place. Twist the bang section of your hair back and away from your face about 3 inches. Insert a bobby pin into your hair with the ends toward your face to conceal the pin. Pull your hair back into a high ponytail and secure it with a hair tie. To give your ponytail extra oomph, split the tail in half and place a small clip (one that matches your hair color) into the base. Then hide the clip with the top half of hair. Pull all your hair over to one side and gather a small section of hair at the nape of your neck into a side ponytail. Then, secure with a small, clear elastic. Cover the ponytail with the top portion of hair to camouflage the elastic. Place an elastic headband securely around the top of your head. 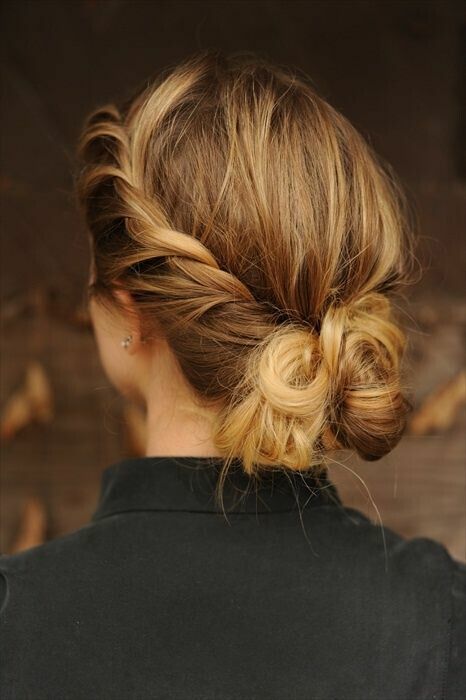 For a secure bun that won’t budge, tie your hair back in two low ponytails tied close together. 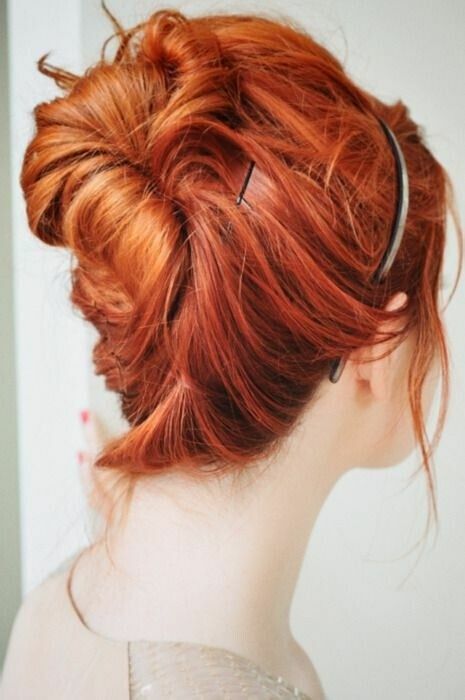 Twist the two tails in opposite directions until you’ve formed your bun, and secure with pins. Using small clear elastic bands, secure your hair in three ponytails, one on top of the other. Flip the tail ends up, tuck them in between your head and the clear elastics, and pull them out through the bottom to create the topsy tails. Tuck the top two tail ends down through the ponytails below them. Discreetly pin the braids together with bobby pins to create one intricate-looking braid and secure with an elastic at the end. Wrap the elastic with a piece of hair to hide it. An important part of the wedding celebration is the wedding cake. For a long time the traditions for the wedding cake are really imaginative and there are no compulsory details that must be added to it. The only thing we should key it to, is the style of the wedding. The rules are created to be broken. The choice of the wedding cake and the bakery for its making are both only up to you. 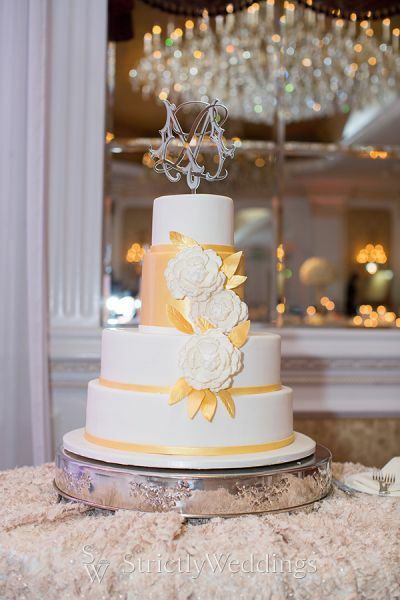 In order to decide what size of the wedding cake is appropriate, you should make an accurate list of the guests in order to know how many people are going to be on your wedding. According to their number, you will know how many pieces of cake you will need. You could also find out how much the whole thing will cost you and what amount of money you will have to spend on it. The more decorated the cake is, the more money it will cost. If you have a small budget, you will have to choose a simpler one, because it will be cheaper. The wedding cake could have various sizes and shapes, in order to impress your guests, you will have to be very creative and surprise them with something unordinary. If you find it difficult to choose the right cake, you could always ask for advice from your partner, relatives or friends. If you are going to have an outdoors wedding and the wedding cake is going to be exposed on direct sunlight, you will have to tell this to your baker. He will tell you the products that he could use in such conditions. The factors that define the price are not only the decoration, but also the products that are going to be used and the place where you have ordered it. The price could be low, but it does not always guarantee good quality. In order to avoid the high prices, you might have to ask someone who has already been through all this. He will tell you everything he knows about the different bakeries and the quality of their cakes. How to evaluate if we are ready for the family life and will we make it to do the right step? Take a look at the listed indicators, find out where your relation is and what will be the future of your relationship. 1. You see your loved one every day. Or even a few times a day. And you feel you cannot live without him. 2. When you are not together, you call constantly or send tons of text messages. This allows you to be in touch all the time and control every movement of your partner. 3. Your jealousy is at its maximum. There are suspicious personalities around your loved one who want to take him away from you. 4. Your sexual relations have become stable for a long time. You have tried everything and you understand each other without much talking. 5. Your relatives and friends know you are an entirety. You will have a family of your own one day. 6. Your parents have already met. This is not mandatory if they live in separate towns. 7. You spend your nights together and don’t try to get away by lying. 8. You don’t want to spend your money on one another. From smaller presents (perfume, watch) you go to the bigger ones. You form a budget of your own for the “real” family. 9. You do what the other told you to with pleasure and seriousness. You visit the grandparents, help on the summer house, take care of your partner’s lodge. Together go to the passport service, the dry cleaning, post office etc. 10. The brothers and sisters of the loved one consider you as family. You communicate with them more than with your own. 11. You call each other lovely names. You are not ashamed of calling your partner “my other half”. 12. You’ve been on vacation. You’ve been at a resort, at the summer house or abroad. 13. You try to live together periodically. This could be a weekend staying over until the parents are somewhere or a common place of residence. If 5-7 of these indicators are typical for your couple, this means the peak of your relations has occurred but you still have nothing to worry about. If you have 8-13 of these indicators, you should build a family. You have nothing to wait for if you want your relationship to continue. Having a long hair does not necessarily mean plain and boring. In fact, your options of having different hairstyle every day are boundless. While your hair stylist can do all the hair styling for you, it’s different when you can just go and do it by yourself! Whatever the occasion, be it your wedding, a day at work, a special event or even holidays, these stunning hairstyles for long hair are super duper easy you can do them in less than 10 Minutes! Looking for the perfect bohemian look? This loose braided hair tutorial is a combination of loose curls + french braid. Add you favorite hair accessory to perfect it! 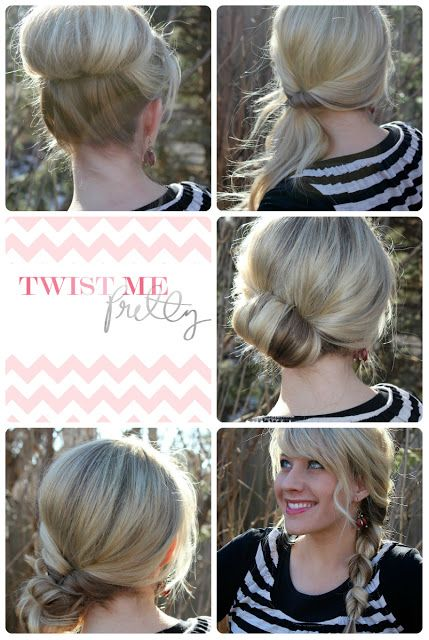 If you’re up for a more sweet but elegant look, the twisted bun hairstyle will take care of you in 4 easy steps! 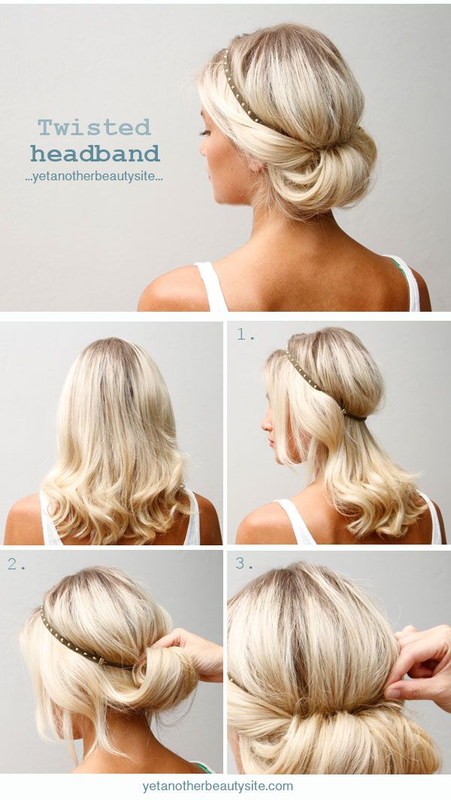 4 easy steps to do a twisted bun hairstyle! Running out of time to go to a stylist? 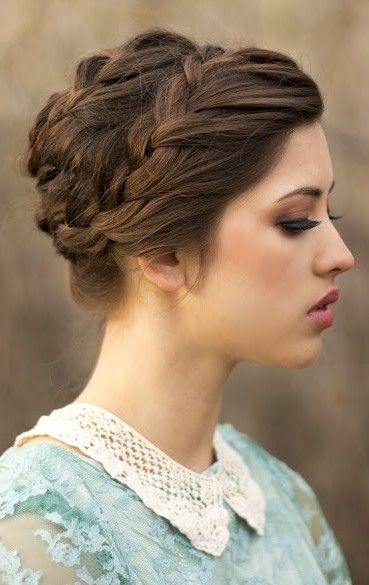 This Tuck & Cover French Braid will make you look poised and pulled together. This easy-to-do twisted wreath look is just right for any holiday. Talk about simplicity and elegance! 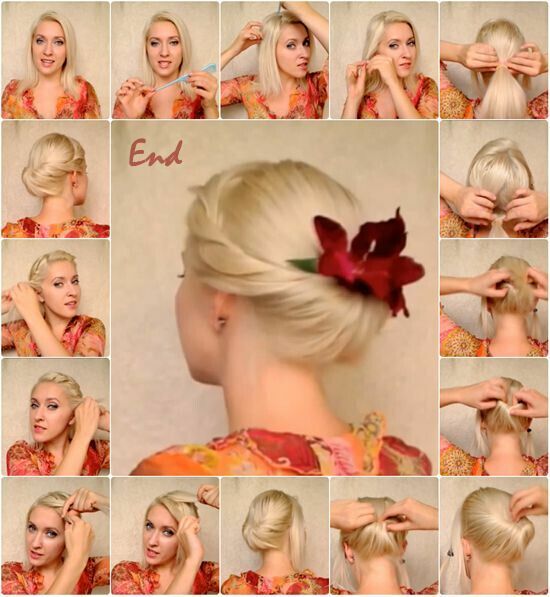 The Romantic Roll Hairstyle is perfect for just any occasion and season! 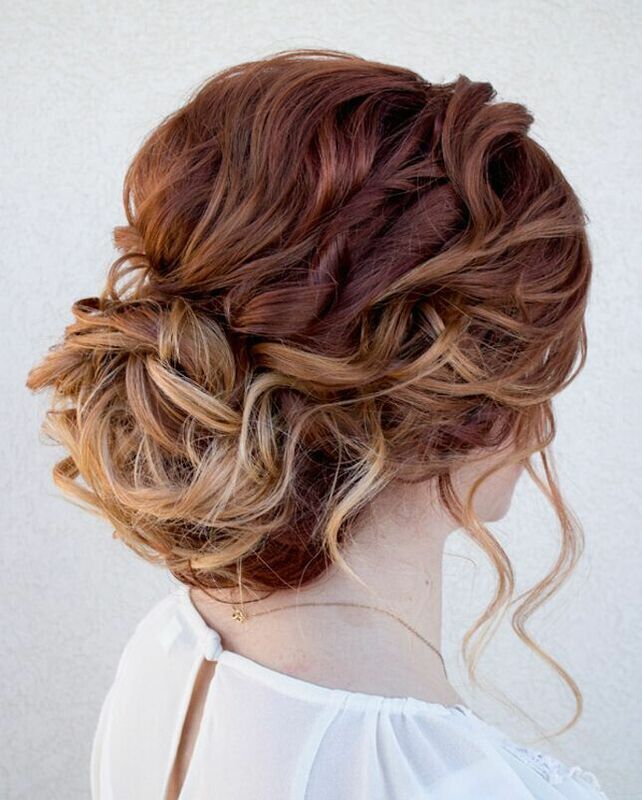 Either you’re a creative bride who wants to do her hair by herself on her wedding day OR a career woman who’s running late for a client meeting, this tousled + twisted updo hairstyle will take care of you! Tame those fly-aways with this chic and classy low rolled bun. It’s too perfect you can wear it from day to night! 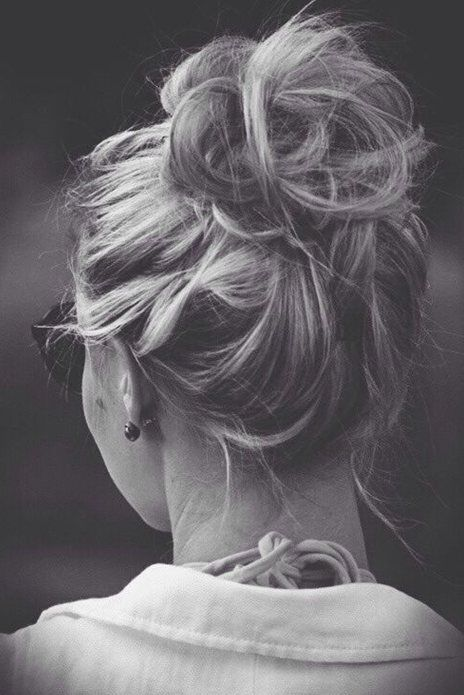 Who doesn’t love a casual messy bun for a casual busy day? A fun and stylish way to pull off in any day. A pretty half up half down hairstyle with a touch of finesse. Get the full Twisted Crown Wedding Hairstyle Tutorial HERE. 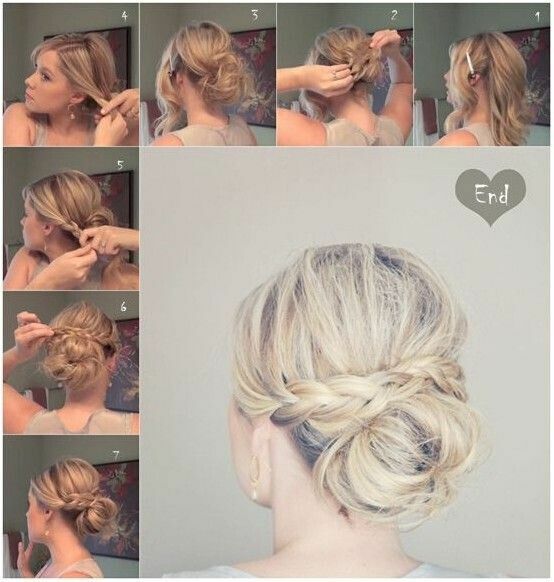 A cute hairstyle ideal for just any day and party. You may also want to do this hairstyle as an alternative on the second day after curling your hair. The Ribbon Half Updo is your ultimate go-to hairstyle for a classic look on your date night. A perfect combination of sweet, soft and romantic! This Ribbon Half Up Hairstyle is cute! The faux fishtail braid is a cute and simple bohemian looking hairstyle. Match it with a flowy dress or denim shorts and jeans! Tip: Since you already have the gift of a long hair, you can rock any of these hairstyles for just any occasion or season. Be creative! Add, remove or change your hair accessories and you’re good to go! What do you think? Any of these hairstyles you want to try for yourself? With the average wedding costing just over $30,000 these days, brides are often looking for crafty ways to cut down on their budget wherever possible. Many vendors know they can upcharge for their services, and brides can easily get taken if they aren’t savvy spenders. Did you know more than 45% of couples go over their planned budget? Sure, many people can easily spend upwards of $50,000 on their big day, but it’s seriously a waste of money if you are able to get creative and think outside of the box a bit. Remember: this is just one day of your life and you don’t want to start out your marriage in financial ruin because you decided you needed to have peonies, a grand ballroom at the Ritz, and a horse-drawn carriage. I’ve compiled a list of 37 ways to save money on your nuptials; you don’t have to use every tip, but utilizing even just 5 or 10 of these ideas could save you thousands on your big day! 1. Keep your guest list small. With catering costs at about $68 a person, the difference between inviting 120 or 150 guests can cost you a couple thousand dollars. If there are any unfamiliar business associates of your parents, long-lost relatives whom you haven’t seen in 20 years, or anyone else that you wouldn’t truly miss on your big day, they probably won’t be offended if they don’t receive an invite. I have a few friends who have not extended an invitation to me for their nuptials, but I can’t say I’ve been upset over it, because I know how pricey occasions like these can be. 2. Don’t break the bank on your dress. 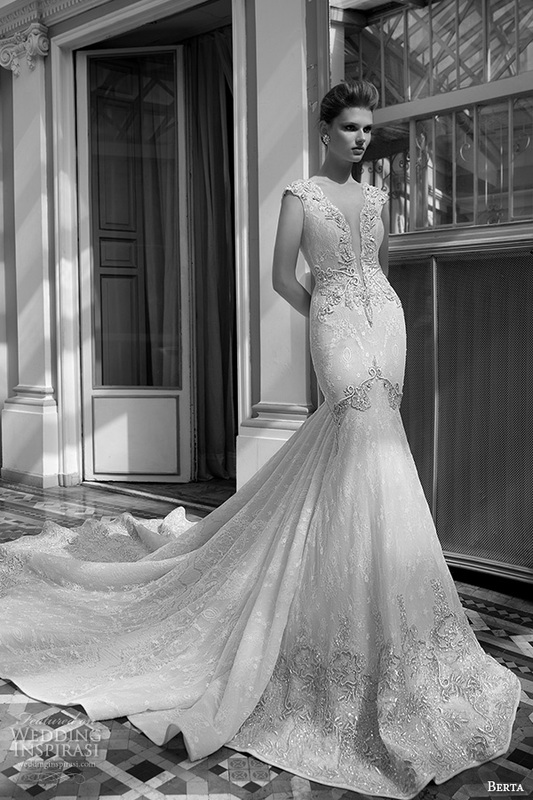 It’s a myth that a gorgeous gown has to cost a small fortune. 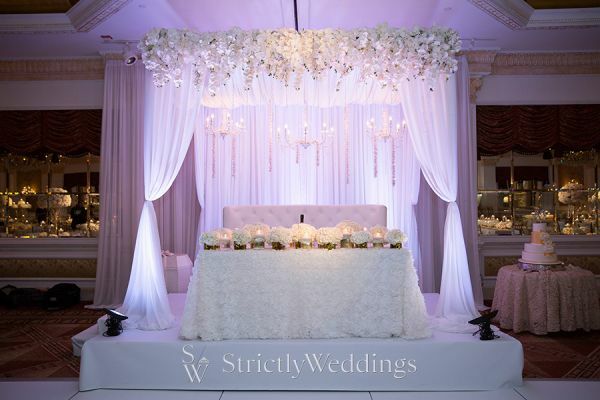 You’d be pleasantly surprised by some of the beautiful, affordable designs on the market today, and the Wedding Shoppe actually offers a good variety of designs in the $500-$1000 price point. Some of my favorite designers in this range are Mon Cheri Bridals, Alfred Angelo, and Blu by Mori Lee. You can save thousands of dollars on gorgeous designer dresses by shopping the out-of-season floor samples. My older sister was able to score her designer bridal dress for a seriously great deal at a sample sale, and it suited her perfectly. Call up your local dress shop to find out if they have any sample sales coming up. Be sure to research ahead of time and know exactly what silhouette, fabric, and designer you are interested in, since you’ll need to make your decision quickly on these sale days. 4. Don’t buy two bridal dresses. Many brides are now buying two designs for their ceremony and reception, however this can be a significantly large added cost for most women. Instead of purchasing two separate dresses and totally blowing your budget, try shopping for a cocktail length or tea-length dress, then add a full skirt over it. Many designers like Tara Keely even offer convertible dresses, which provides the wearer with two looks in one dress. 5. Host your event on a Friday or Sunday. By skipping Saturday receptions, you can automatically trim thousands off your venue rental. Try throwing your celebration on Memorial Day weekend or another 3-day weekend; this way, you can host a Sunday ceremony and people still have the next day off of work! 6. Skip the seated dinner. One of the most expensive aspects of your big day will be catering. A great option for casual daytime receptions is passed hors d’oeuvres with a generously appointed appetizer station. You can also offer cocktails and a cake cutting ceremony, too. You’ll easily save thousands on a plated dinner and your guests will enjoy all of the delicious nibbles. 7. 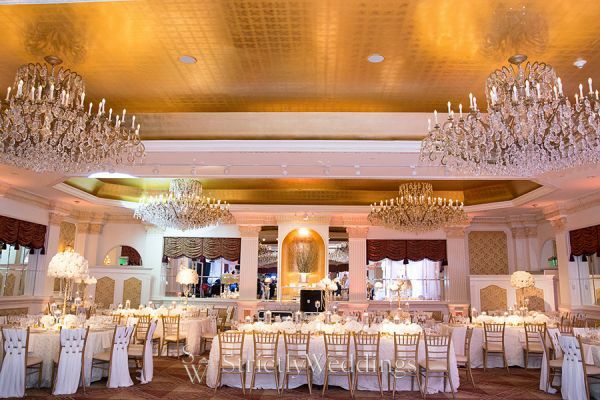 Find a venue that is flexible with your vendor and catering options. When choosing your venue, be sure to find out if they allow outside vendors to operate on their premises. Venues with fixed vendor lists essentially offer a monopoly to the bride, not giving you any flexibility in terms of price or menu options. If you can choose your own photographers, caterers, etc., it will be easier to customize everything to your taste and budgetary needs, and you may even be able to bring in your own alcohol and bartender, saving you even more money. 8. Get creative with your cake and desserts. As we all know, wedding cakes are insanely overpriced. 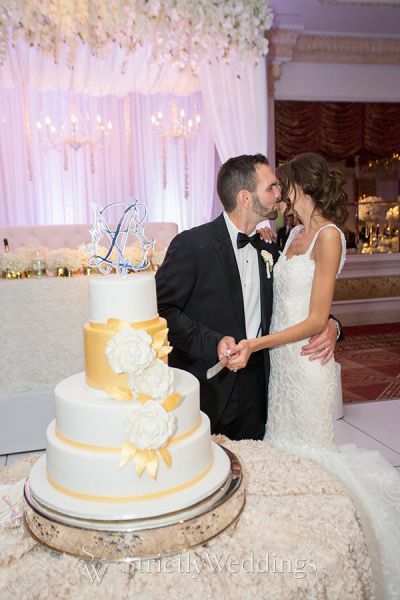 One of my favorite tricks that I’ve seen friends do at their receptions is to order a small one or two tiered cake for the bride and groom to cut into, then have a large sheet cake in the back, which can be cut and served to guests. Nobody will ever know your smart secret, and everyone will still get a delicious slice of cake! Many couples are even foregoing the cake altogether and opting for a dessert station equipped with tasty macarons, cupcakes, cookies, and other sweet treats. Often homemade! 9. Keep tasting crowds small. Most people don’t realize it, but many caterers will charge per-person for food tastings. Instead of inviting your parents and attendants along, enjoy this occasion with just your fiancé and you’ll save some money in the process by keeping the crowd small, too! 10. Opt for a digital photography package. Many professional photographers will charge an arm and a leg for prints, bound books, and framed photos. Ask for your photographer to just provide you with a digital package of edited photos. You’ll save hundreds (sometimes thousands) off of the photographer’s prints, and you can use one of many online services to make your perfect, personalized book at a fraction of the cost. 11. Skip the professional hair and makeup. If Kate Middleton can do her own bridal makeup, you can too! Okay, this tip is really only for those who are actually adept at cosmetology. For my best friend’s marriage, she went to a few makeup trials, but was unhappy with the results each time. The makeup was too heavy and she didn’t feel like herself, so I volunteered to do her hair and makeup. I knew her taste and I know a thing or two about styling, so I felt comfortable enough doing this. I gave her a simple curled updo, which looked gorgeous with her veil. For her makeup products, we went to the cosmetic counters at our favorite department store and picked out the perfect products for the occasion, and she was able to keep all of the makeup after, too! Once again, only do this if you are comfortable applying makeup and styling hair; otherwise, this is definitely something worth paying a bit extra for. 12. Have a daytime ceremony and reception. You can honestly save thousands if you like the idea of a brunch or afternoon tea reception. Event spaces will charge less for use of their space in the daytime, and catering will be significantly less expensive, too. You can also get away with just serving mimosas and save on the open bar. 13. Make your own bands. Not only is this idea adorable, it is extremely creative and makes for a memorable experience, too. There are many studios across the country that offer couples the opportunity to create their own wedding bands by hand. 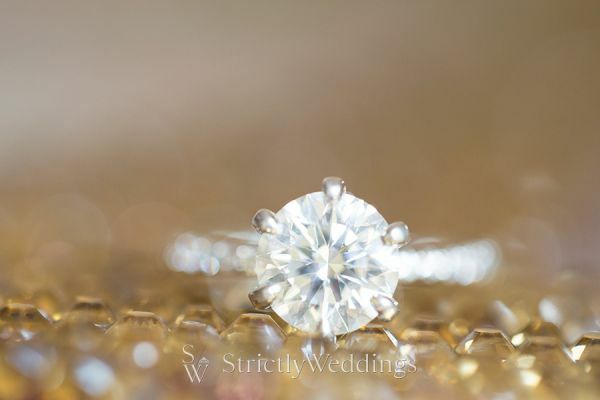 You’ll save money on your jewelry too, as many engagement ring stores upcharge their inventory by ludicrous amounts. 14. Hold your ceremony and reception at the same venue. If you only have to pay for one venue, that’s a pretty easy way to save! Not only will it cost less, but your guests won’t have to worry about hauling themselves across town to get from one place to the next. This will save on transportation costs for everyone, and will take away stress from your celebration, too. 15. Skip the open bar. Okay, before you start freaking out, I’m not suggesting you offer a cash bar or no liquor at all. 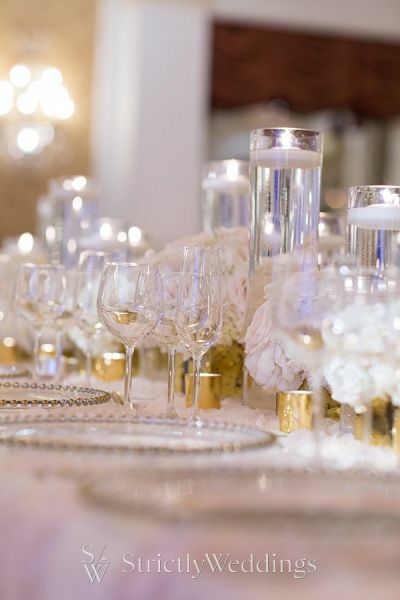 A great option that many couples are opting for is to provide wine, beer, and one or two specialty cocktails. This can save you a good chunk of change, and your guests will still have access to tasty libations during your party. See if your venue allows you to bring your own liquor in, and shop for all of your supplies at a discount liquor store. 16. Block off a set of hotel rooms for a discounted bulk rate. Hotel costs can be truly prohibitive for some, but most hotels will offer group discounts if you block off a set of rooms for your party. You can include this information on your official wedding website, so guests can call the hotel and book a room under your group rate. 17. Use your creative friends for DIY projects! Yes, DIY can be stressful if you decide to take on a bunch of projects on your own, but if you enlist your trusty Bridesmaids, friends, and family to help, making some decorations from scratch can be a fun activity and will save you some serious dough, too. 18. Hit up your local wholesale flower market or farmer’s market. Your DIY-savvy group definitely comes in handy on this one, too. If you are on a serious budget but don’t want to give up having beautiful flowers, you could opt to do your own arrangements. Be warned, though: this is a time-consuming and stressful operation if you are ill-prepared for this or if you don’t allocate proper time for this, but if you can get all of your Bridesmaids together right before your nuptials to do a floral assembly line, you could save hundreds of dollars by purchasing your flowers directly from a wholesale flower market. 19. Book an off-season date. If you are flexible with dates, consider having a late autumn or winter ceremony. Venues will generally have more openings and may be willing to come down on their prices if demand is low. 20. Don’t pay for a full-service coordinator. Most of the time, all you will need is a day-of coordinator. If you have people in your life who are hyper-organized and committed to making your day perfect, it’s definitely possible to get by without one, but having someone looking over all of your details on your big day will take a lot of stress off of you and will allow you to enjoy your special celebration. 21. Look into free or low-cost venues. Looking for an affordable or free place to host your celebration? While it’s difficult to find, it’s not impossible. State parks are great options for outdoor enthusiasts, and provide gorgeous backdrops for photos, too. Or you could call on a friend or family member with a large house to host your reception at. 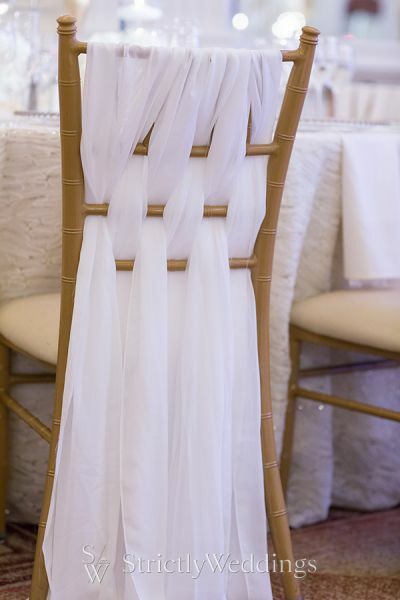 Be sure to keep in mind linens and furniture rentals will be an added cost if you go this route, so you’ll want to compare the added costs of vendors decorating a place from scratch vs. a full-service venue. 22. Get creative with wedding favors for guests. Favors can quickly become expensive, especially if you are hosting a large celebration. Most people don’t expect a favor, but if you are insistent on providing your guests with a small token, try to budget no more than $3 per person. Some great, economical options are a self-serve candy bar area, or a code to a digital download with the couple’s favorite tunes. 23. Utilize your friends and family who offer creative services. Do you have a cousin who is an aspiring photographer? Maybe he’d like to take photos of your big day at a reasonable cost! Is your best friend a graphic designer? Hello, personalized invites! Maybe your circle of friends has a band, seamstress, baker, singer, officiant, or other creative genius. Not only will your loved ones be thrilled to provide services to you, they’ll likely be willing to give you a lower price than other professionals. They’ll appreciate the business and will be honored to take part in your big day, and your money will be supporting a creative freelancer! 24. Ask your vendors for any freebies. If you are paying thousands of dollars for flowers, ask if your florist is willing to include the groom’s boutonniere for free. 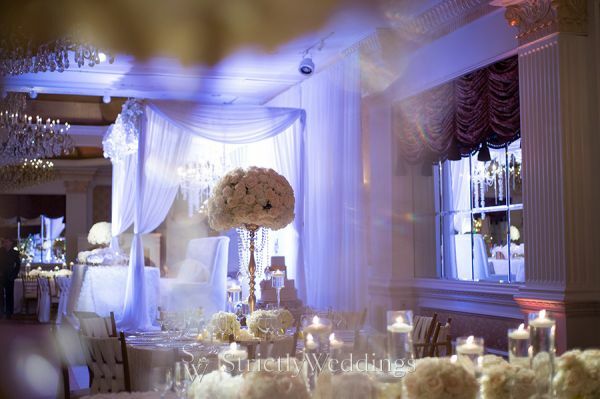 Or perhaps your venue will include an extra hour of set-up time in the beginning. The more you are spending, the more bargaining power you generally have. 25. 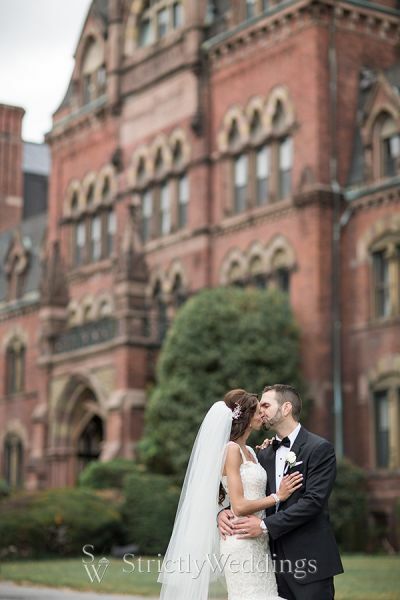 Choose a venue with included amenities. 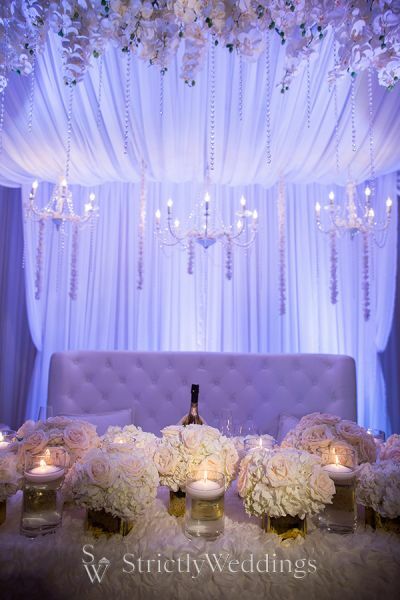 Look for event spaces that provide linens, chairs, tables, and wait staff. This will help you save money on small add-ons and will take the stress out of your day. 26. Choose a buffet style dinner instead of plated dinner. Buffets are a great route to go, as food costs are generally lower with buffets. Be sure to have a catering person manning the stations and serving people their food, as portions can easily get out of control with people serving themselves. 27. Re-sell your items afterwards. If you spent a small fortune on decorations or your dress, much of this can be re-sold online to other brides looking for a deal. As long as you aren’t attached to these items, it’s a great way to make back a bit of money after your big day. 28. Skip the engagement party and day-after brunch. With so many events from the engagement party, bachelor party, bachelorette party, bridal shower, rehearsal dinner, and morning-after brunch, it’s easy to see how things can get to be so expensive! Try to skip the unnecessary events; by eliminating the engagement party and morning-after brunch, you’ll easily save yourself a few thousand dollars in catering and event space costs. 29. Save on postage and paper. While many people still like to send invitations via snail mail, you can save a bit of money by issuing your save-the-dates by email. You can also save a small fortune by foregoing paper RSVPs and have your guests RSVP through your wedding website. 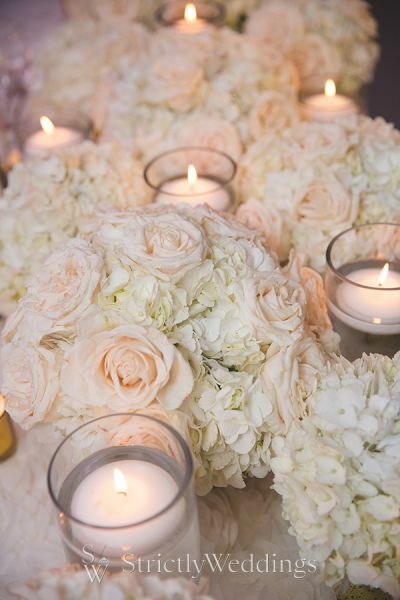 One of the most beautiful and effective decorative elements is candles. Luckily, these can be bought for reasonable prices in bulk and will add a romantic and intimate feeling to your event. 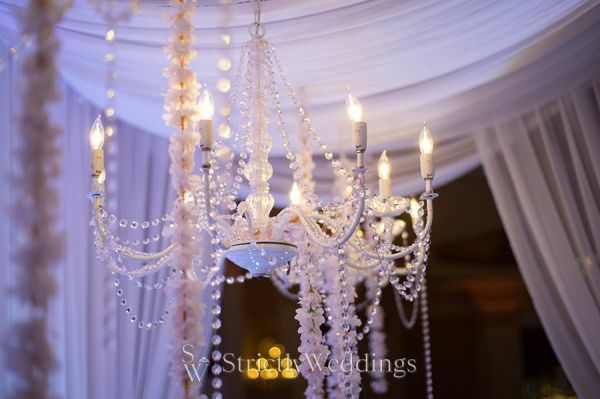 You don’t need grandiose statements or swinging chandeliers to make an impact – just decorate with beautiful flowers and lots of candles—you could even string some bistro lights on the ceiling, which can be purchased for reasonable prices. 31. Look into renting an estate or villa. I’ve always loved the idea of renting a large villa for a few nights and letting my close friends and family stay in the house before and after the celebration. 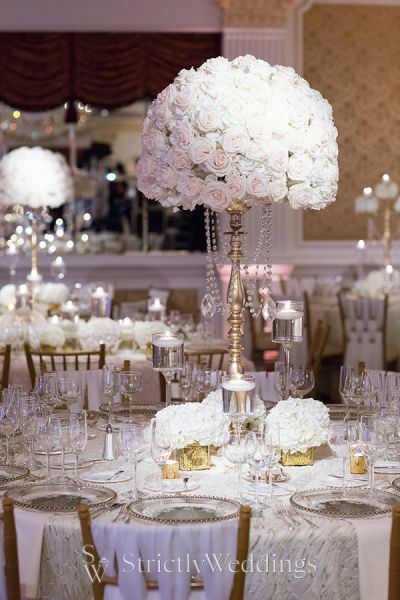 The amount you would spend on a venue for a few hours would likely be the same as renting a large house for a few days, and you’d have time to set up and decorate just as you like (plus, you’d save on hotel costs!) Just be sure to check with the owners of the home that you are able to host a celebration there, otherwise it may cause some issues if you don’t communicate with them ahead of time. 32. Hire music students to play processional music. 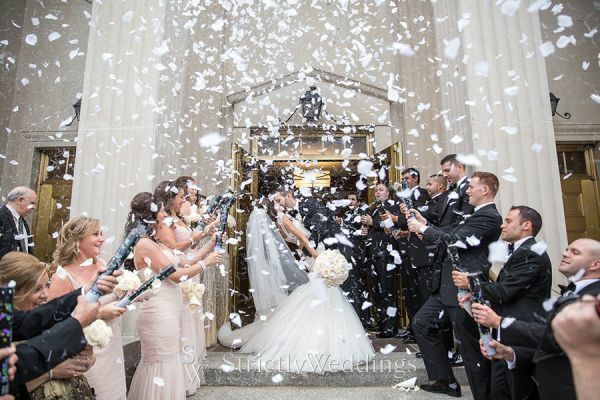 Contact your local university’s classical music department and see if they could recommend their favorite music students to provide processional music for your big day. 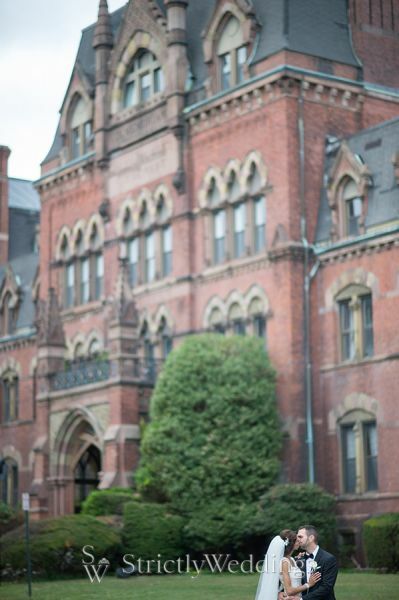 They’ll cost a fraction of professional musicians, but they will be thrilled for the performance opportunity and many university music students are extremely talented and capable musicians already! 33. Take your honeymoon a few months afterwards. Many couples are choosing to wait a bit before taking a costly 7-day honeymoon trip across the world. Rent out a local hotel suite for a night or two and pop a bottle of champagne to celebrate in the meantime. You’ll thank yourself that you waited a while, and you’ll feel less guilty about splurging on your honeymoon if you are a bit more financially stable. 34. Choose a DJ over a live band. On average, DJs cost less than half what a live band will charge you. Find someone who is willing to play music that is suited to your taste, and don’t feel bad if you want to forbid the chicken dance or YMCA from the playlist. 35. Keep your bridal party small. These days, it is customary to give your Bridesmaids and groomsmen a small gift to show appreciation for their participation. If you have 10 Bridesmaids and 10 groomsmen, you’ll be purchasing 20 gifts for your attendants! Try to only include your very best friends in the party (who will still be in your life in 5-10 years?) and you can opt for homemade gifts. I’ve helped knit wool scarves for Bridesmaid gifts before, and it was a heartfelt and appreciated token. 36. Skip some of the unnecessary pre-wedding pampering. While a manicure and pedicure may be important services to feel groomed and pretty, you probably don’t need a massage right before your ceremony (keep that for the honeymoon!) Try to eliminate any extra grooming services that aren’t required, as salon treatments can add up very quickly. 37. Remember your Bridesmaids’ budgets, too! Did you know that participating in a friend’s nuptials as a Bridesmaid costs up to $1,700 or more? From hosting the bridal shower and throwing the bachelorette party, to purchasing a Bridesmaid dress, accessories, hotel costs, beauty services, and more, it is expensive to be a Bridesmaid! Be sure to provide your ladies with fun, affordable, and versatile choices for their gowns. They’ll be sure to appreciate your consideration of their budgets. Some of my favorite designers at the Wedding Shoppe for budget-conscious but fashionable styles are Kennedy Blue, Bill Levkoff, and Allure. There are so many other ways to save big – just remember to shop around, explore your options, and never feel pressured into making a big purchase without being sure of your decision! Photos courtesy of Berta. 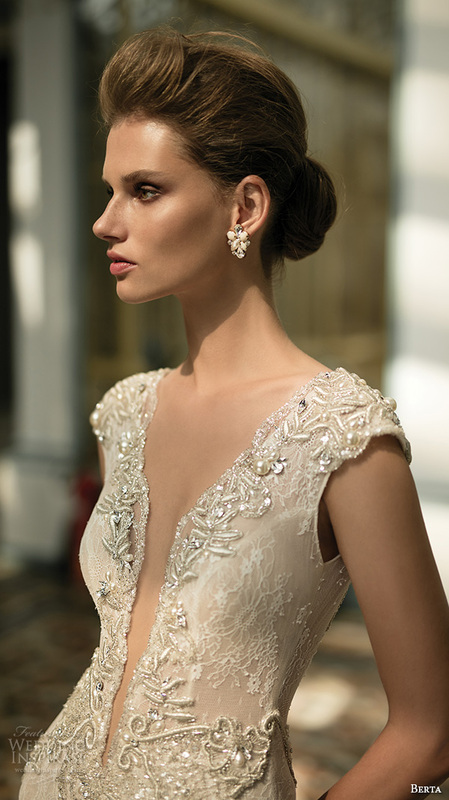 For details, visit Berta Bridal. 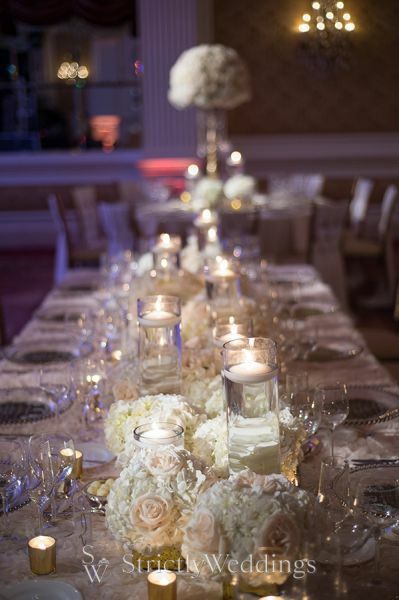 Classic weddings with their timeless details, nods to tradition and effortless elegance are right up our alley. They are the soirees that will be as stunning today as they will be fifty years from now. Cue the perfectly planned wedding of Laura and Michael. 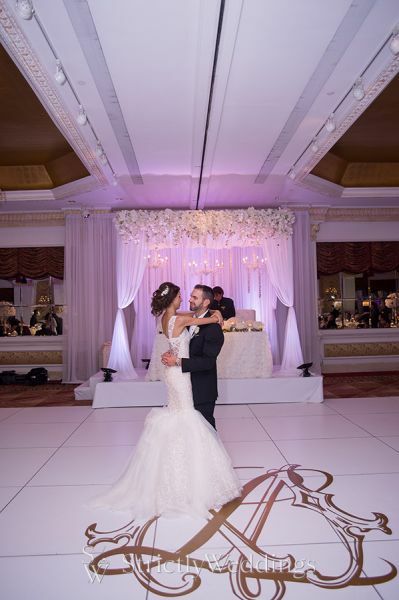 This classic wedding begins with an Ines Di Santo bride that will melt your heart with its refined beauty. 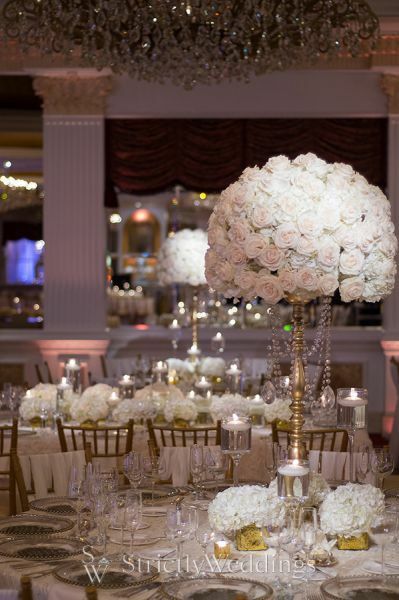 It’s a wedding that blends in some of our favorite elements that make classic weddings truly sing. 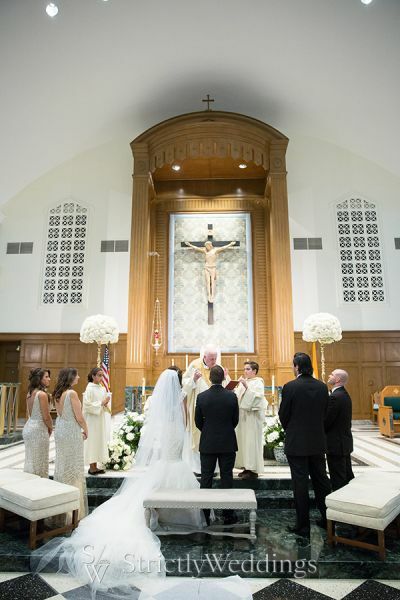 With vows exchanged at the unforgettable Saint Aidan’s Church in Williston Park in New York to the grand celebration at the historic 1874 Garden City Hotel, this day makes a heart flutter. 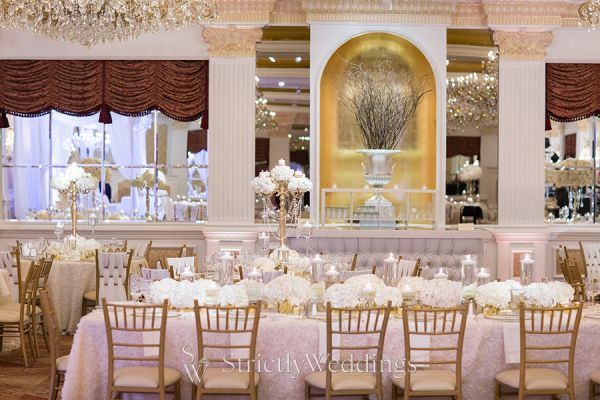 Imagine sweeping city views and timeless touches the bride herself planned. 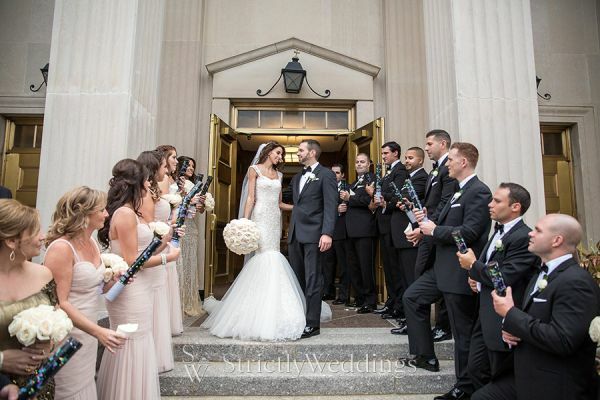 As a store owner, Laura and her cousin, run The Wedding Company in Manhasset, New York. Together they have designed invitations and planned weddings for other brides for years – now it was finally Laura’s turn for her dream day. 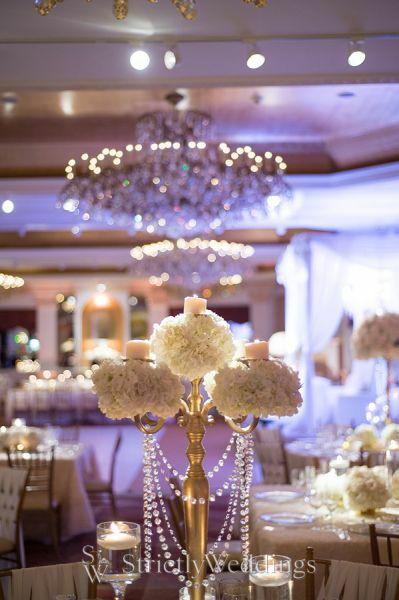 Philip Siciliano Photography was on hand to snap every second of the detailed opulence and Design House Décor delivered impressive floral and design masterpieces to “Ohhh and ahhhh” over. 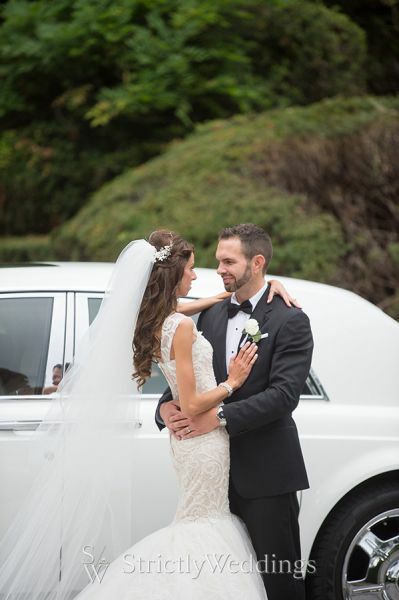 Michael and Laura met through an online dating service and after their initial call decided to meet for their first date. Three years later, while Michael was going through chemotherapy and Laura’s only concern was his well-being – he proposed. On his good days, he was driving an hour away to the jewelers to help design his bride-to-be’s ring. In the midst of a rain storm, in the heart of a pumpkin patch and on Laura’s birthday, Michael asked Laura one life-changing question. 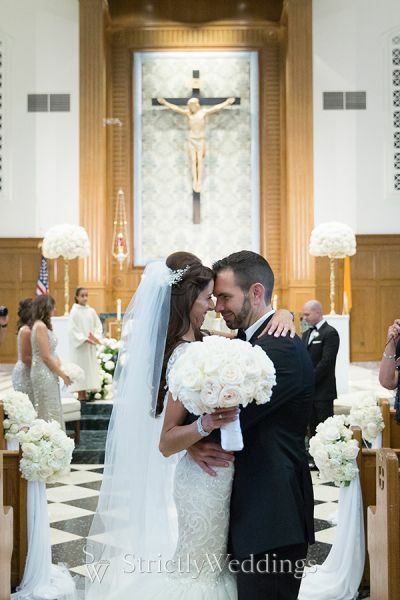 Eleven months later, when Michael was stronger and healthy, they were married. 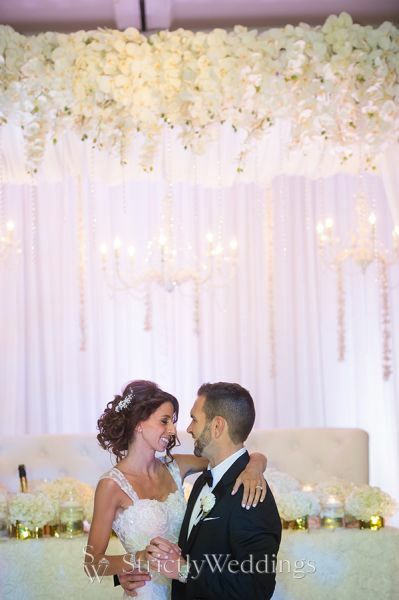 Every detail matched the delicate bride – like a dreamy cloud of perfection in varying hues of white. 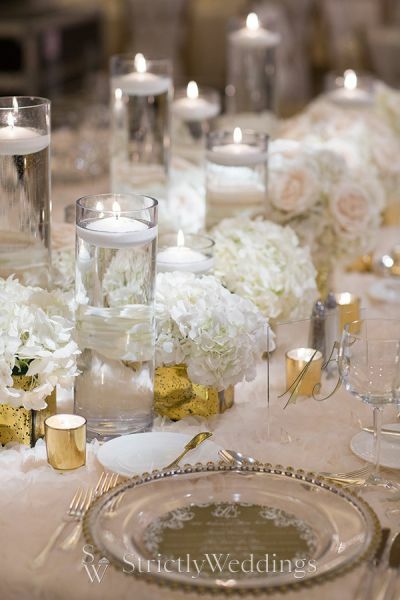 Design House Décor created floral arrangements utilizing roses, hydrangeas, and orchids in robust bursts to smaller bunches, draped in crystals and accented with candles that mirrored the traditional gold and stone architecture. 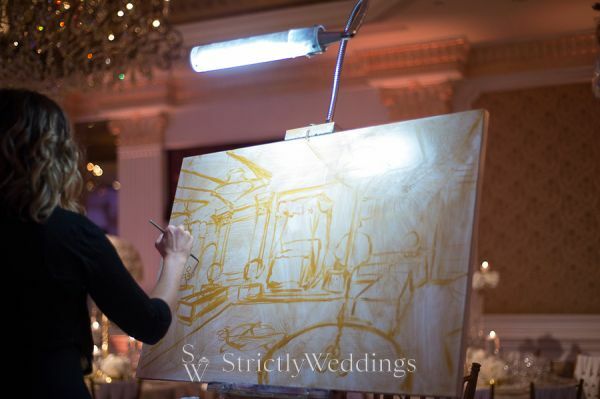 Michael had not been involved in the planning of the wedding and it was a sentimental moment for Laura as she watched him take in all the décor and details she had designed for their special day. 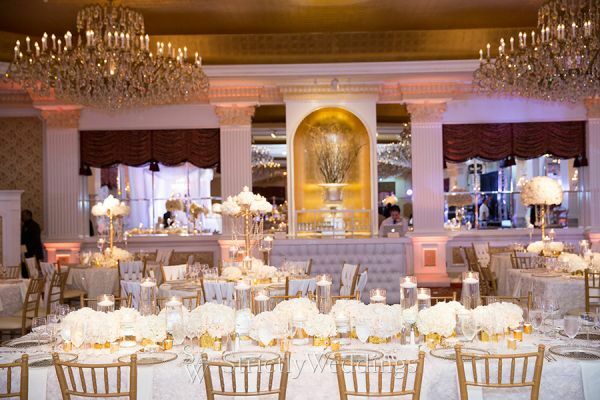 From the sweetheart table with glorious hanging chandeliers and the custom dance floor to the monogram she personally designed and custom chapsticks in the bathrooms – no detail was ignored. Laura even arranged for a Mister Softee trunk to greet her groom and guests at the end of their perfect night which is one of Michael’s favorite things. 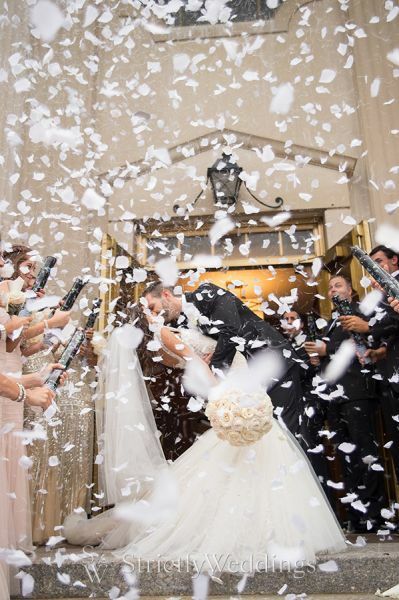 Their special day proves to not only be crazy elegant, but seriously sentimental. The medium bob has become more popular than ever, as women discover you don’t have to have long hair to wear a relaxed or formal updo. After the uniformity of long, straight styles, everything has changed and now versatility, variety and originality are the key to contemporary hair fashion! And you won’t find a more interesting and varied gallery of quick and easy updo’s for medium length hair, than I’ve chosen for you today! The salons say most women are asking for a medium length bob, with or without layers, so they can style it at home in several different ways and with the minimum of fuss! And that’s where quick and easy updo’s for medium length hair come in! Updo’s are currently super-trendy and not only for special occasions. 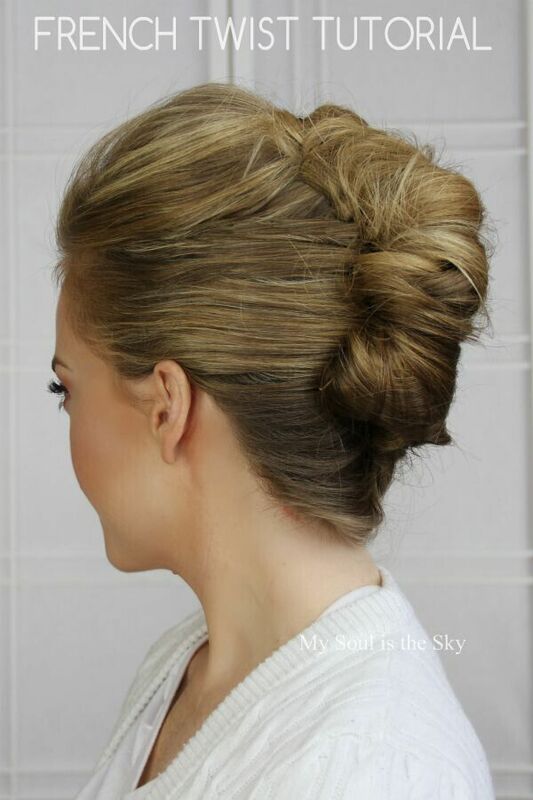 In a fashion-throwback to the 1960’s, when upstyles where a major fashion for a number of years, updo’s are once again a popular choice for work, home and leisure. Unlike the problems of arranginglong, heavy hair into a stay-put, comfortable and attractive style, quick and easy updo’s for medium length hair are so much simpler to achieve! Curly styles are super-cute and all you need to do is fix up your hair into a ponytail at the crown or just below, then pull out some pretty ringlets to frame your face and you have an absolutely adorable, youthful look! For elegance, keep your updo smooth and select one of the many symmetrical, asymmetrical or edgy updo’s that take less than five minutes to style. We have a wider range of different highlighting techniques and colours than ever before, so do experiment! The modern twist, making this season’s quick and easy updo’s for medium length hairso fresh and appealing, are the totally fabulous colour effects you can create from hair that’s ombréd, sombréd, balayaged or dip-dyed! So, if you’d like to see the new season’s quick and easy updo’s for medium length hair – complete with a 21st century twist – here they are!